Stradalli Silver Lining 4 Wt, 9' Long, 4 Piece Fast Action Fly Fishing Rod 100% Carbon Fiber Billet Reel Combo by Stradalli at Joes V Cycle. MPN: silver_9_4_fly_fishing_rod_reel_combo. Hurry! Limited time offer. Offer valid only while supplies last. 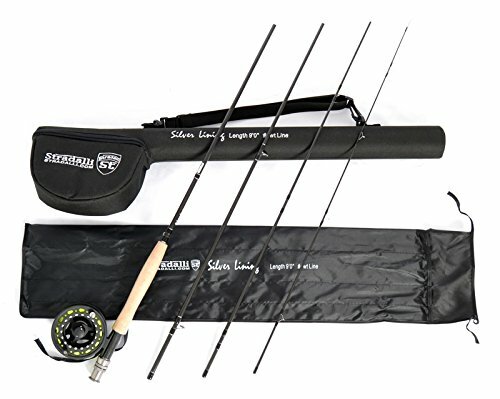 Stradalli Full Carbon Fly Fishing Rod and Reel Combo Silver Lining Series The latest in high tech fly fishing technology - 3K carbon fiber.